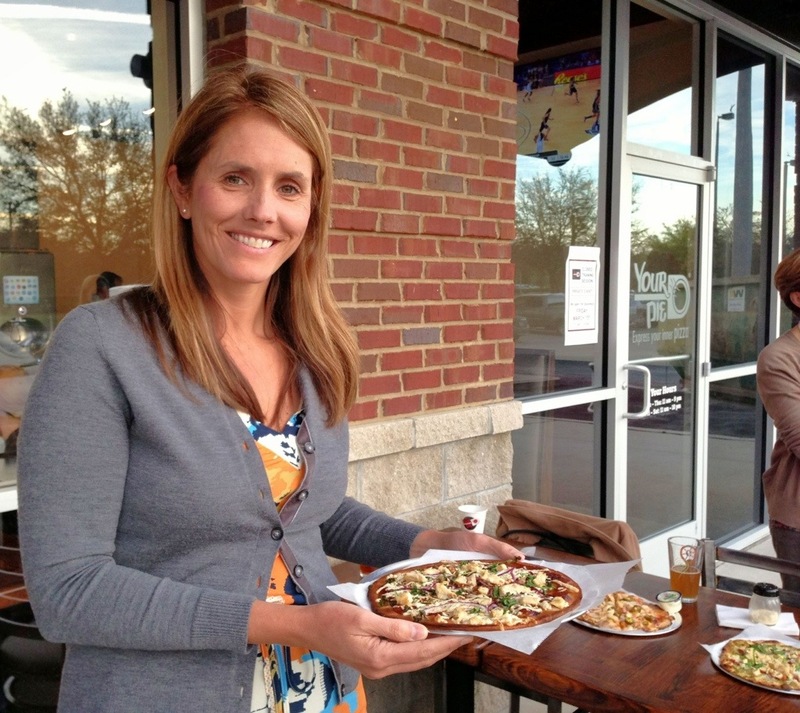 There is a new gluten-free pizza place in Fleming Island, it is called Your Pie. 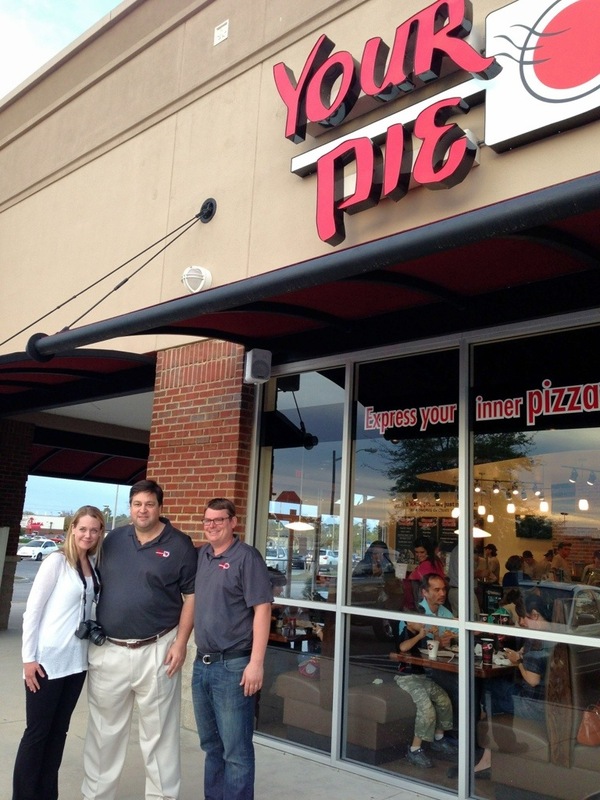 Headquartered in Athens, GA this franchise is a cross between a fancy Subway and Mellow Mushroom. You actually stand in line and tell them what you want on your pizza and then they cook it in the brick oven pizza and have it out to you at your table within 10 minutes (give or take a few). Your Pie is based on the concept that we don’t all like the same toppings on our pizza so instead of compromising on toppings you can order your own. 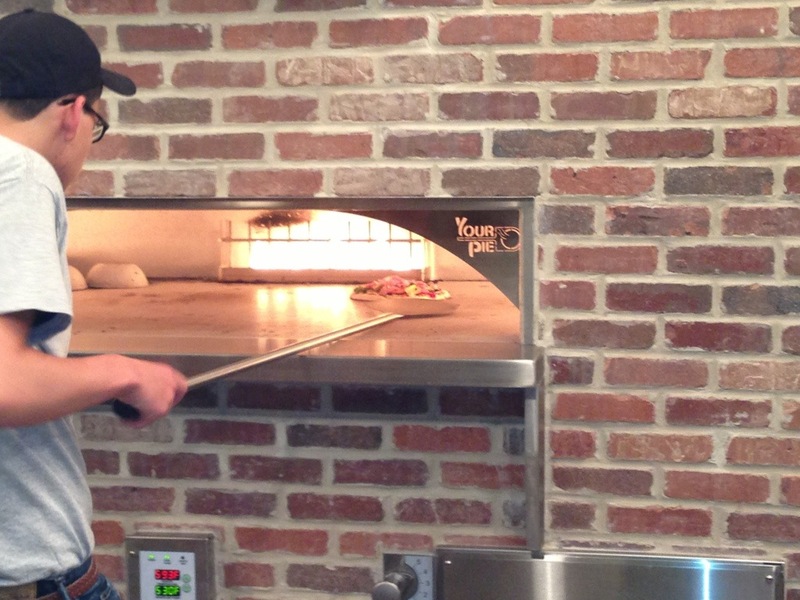 All of the pizzas are personal size,10 inches, and, according to founder Drew French, most are under 700 calories. For the indecisive diner, they also have some “favorites” on their menu you can choose from..
My favorite part about Your Pie is that they offer gluten-free and dairy-free options. Many of their sauces and toppings are gluten-free and they offer a gluten-free crust made in a dedicated gluten-free facility. They also take necessary precautions to avoid cross contamination. The concept of Your Pie was inspired by a trip founder Drew French took with his wife during their honeymoon to the island of Ischia in Italy. 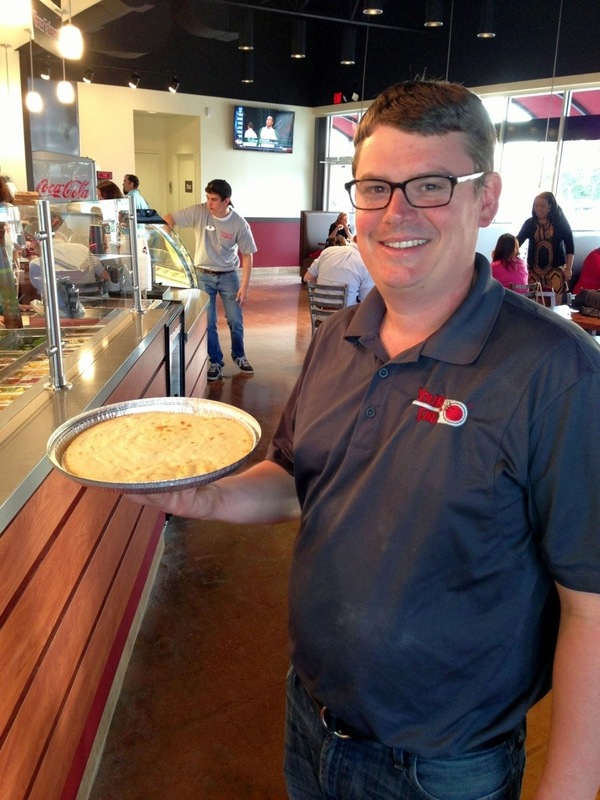 Owner, Drew French shared the precautions they take for people with food allergies. They take 2 different approaches to gluten-free. If someone comes in without a severe gluten-free allergy they will just make it with gluten-free crust but process it on the same line with the other pizzas. If someone comes in and notifies them that they have a severe allergy (celiac, etc.) the staff will change their gloves and the pizza will be made in the back.. To avoid cross contamination in the brick oven they prepare the gluten-free pizzas in a special metal tin to avoid cross contamination (like in the photo above). There is a $2.50 up charge on gluten-free pizza crust, however it still only comes out to around $10. The atmosphere is lively and energetic and it is family friendly. But don’t fear- they still serve wine and beer in this family friendly environment. They also have free wifi- sweet! In addition to this location the franchise owner Mike Sims plans to open three other locations, one of which is scheduled to open in Tapestry Park in June. The Lineage Pizza. This one can be ordered from their favorites menu. It includes traditional marinara sauce, mozzarella, green bell peppers, black and green olives, onions, mushrooms, pepperoni and sausage. There were a TON of ingredients on this pizza. My favorite is the BBQ Chicken gluten-free and dairy free pizza. It was tangy with a nice flavor boost of fresh cilantro. I am a HUGE cilantro fan. 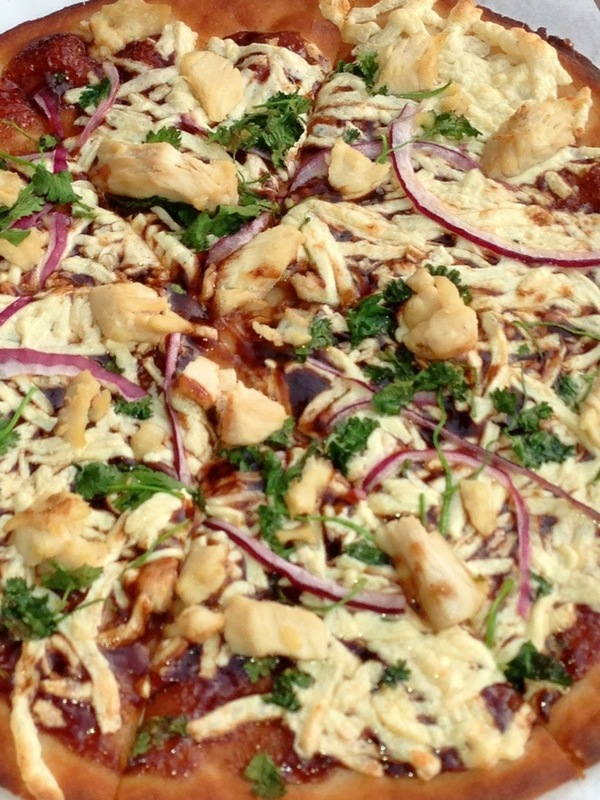 In addition to chicken, BBQ sauce and cilantro they also added red onions. I really don’t have much to compare this pizza to besides Mellow Mushroom, since there are not many gluten-free and dairy-free pizza places. I really liked the fact that Your Pie makes all of their own sauces. The flavors of the sauce and gluten-free crust blended well together. I didn’t need to add salt or any other seasonings. The crust is thin and chewy and I loved it! Even though I failed to get a picture of it The Nat is one of their most popular favorites. The ingredients include fresh basil pesto sauce, mozzarella, feta, spinach, sun-dried tomatoes and grilled chicken. My only concern is cross contamination with-in the facility. Even though they prepare the pizza in the back, those with severe allergies should proceed with caution and make sure to notify the staff of your severe allergy. I didn’t have an immediate reaction, however everyone responds differently. Almost all of their sauces and ingredients are gluten-free. However the meatballs contain bread crumbs so they are not gluten-free. They have a full link on their site dedicated to their allergy information. Check it out. In addition to pizzas they also serve paninis, salads, sorbet and gelato. The sorbet is gluten-free and dairy free and when I was there the favors were lemon, raspberry, and blood orange. From what I have heard the sea salt caramel gelato is pretty amazing. Other flavors of gelato they usually have include Tiramisu and Butterfinger. The gelato is made with milk instead of cream so it has less fat and more flavor than ice cream.. I tried the raspberry sorbet. It was AWESOME. 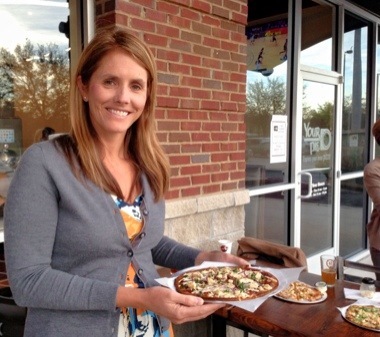 I am excited that Jacksonville is getting another gluten-free pizza place that really cares about providing a safe product for those of us with gluten issues. Is this some place you would try with your family? Looking forward to trying out Your Pie, hopefully when they open in Tapestry Park. 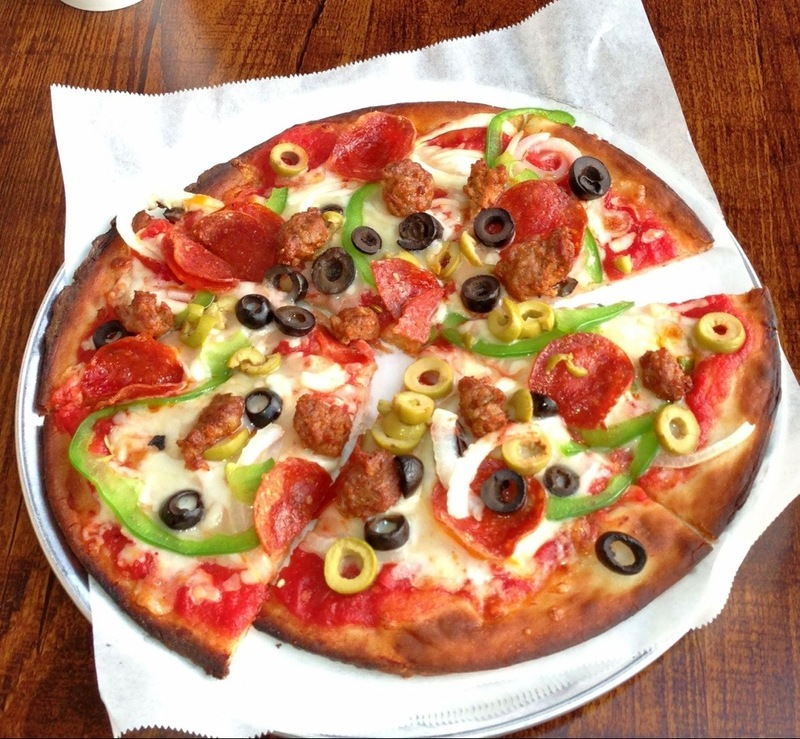 That would make two good GF pizza options on Southside, including Tommy’s Brick Oven Pizza. Best GF pizza I’ve had in Jax so far is from Tommy’s! I tried Your Pie for lunch when I was in Savannah, GA. It was a great pizza, but I was very sick after. Had a dinner with friends that night and I had to excuse myself from the table so many times to visit the bathroom. Even though they take all the extra precautions which I appreciated, I think there is too much flour in the air, and it caused the cross contamination. I’m sticking to pizza at home from now on cause I just can’t take the consequences. I am way too sensitive to gluten. Oh that is so frustrating. What kind of pizza do you make at home? I want to thank the owner. I first came upon this place with my son. His soccer team. Having celiac myself I love this place. My children love it too. Now all we need is a gluten free bakery around.